this is a trailer park. Met my wife at the Willow Run Drive-In. June 7, 1985. I remember my grandfather selling part of his property so they could build the theater. He lived in the gray house net to the drive-in that si still there. 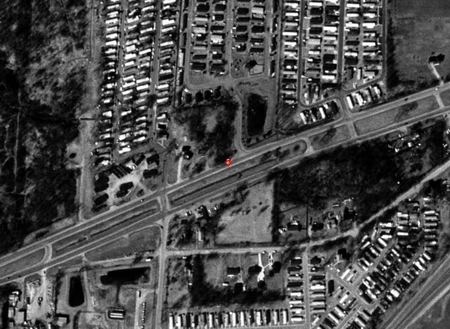 I remember I was a child and we lived in College Park directly behind the Willow Drive-In. I remember going up to the mail boxes on a calm night and watching Planet of the Apes. If I listened very closely I could hear what they were saying. That was when I was in 2nd or 3rd grade (1969-71). In High school a bunch of friends and I used to go up there for the $1. 00 Wednesday night special. For the entire summer it seemed like they played Heavy Metal. That was some good times. Sherrie. I always thought it was strange to be riding in the car as a child as my Dad drove along US-12 (Michigan Avenue) through Canton Township, getting to just past the split to I-94 and into Ypsilanti, and suddenly there was a drive-in sign, amongst the trees. My family visited the Willow once, in 1980, we saw a double feature, Smokey and The Bandit Part II and Battle Beyond The Stars, although I remember the newspaper listing had Jaws II as the second feature. Dont know why I remember that. But I thought it was a cool drive-in, just in a poor location. The Willow Drive-In opened around the early 50s, and was one of three drive-in theaters in the area owned by Arthur and Roger Robinson (along with the Scio and the Ypsi-Ann). It could originally hold about 1000 cars (increased to 1050 in the 70s) and its single screen measured 118' by 50'. Like the Robinson's other drive-ins, the Willow was taken over by the General Cinemas Corporation in 1967. In 1978, Wayne Amusements acquired the Willow, but it was closed five years later. Today, a trailer park occupies the former drive-in's site. One of the last drive ins built. Very large screen, poor concession stand and boxoffices. (I managed that theater one summer). Originally held about 1100 cars, but by 1980 the speaker poles in last several rows had been removed lower the number to about 900. 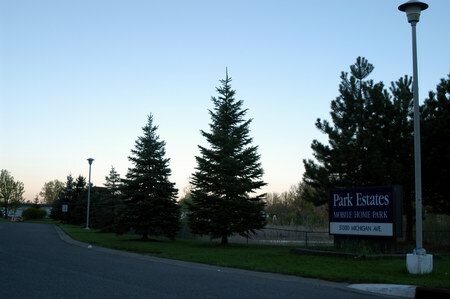 The theater closed in 1983 or 1984 and was replaced by a moble home park.